There's something about makeup collaborations that get me more excited than a kid in a candy store but with my disappointment on my most recent purchase; Becca x Jaclyn Hill Face Palette (a story for another day)...it makes me think, maybe I should stick with brands from the industry professionals. Let me introduce to you, Julie Hewett Cosmetics. I was introduced to the brand back in May and was kindly sent two products; 100% Organic Camellia Oil* (check here) and Matte Lipstick in shade Femme Noir* (check here). "Julie Hewett is a celebrity makeup artist who has over twenty years of experience in the industry and has worked on many blockbuster movies. The idea for her own make-up line was born on the set of ‘Pearl Harbor’ when she noticed a distinct lack of true ‘beauty classics’. She was determined not to make up every actress with the same red lipstick, so she started swatching different colors to create bespoke shades and textures to flatter the individuality of each woman. 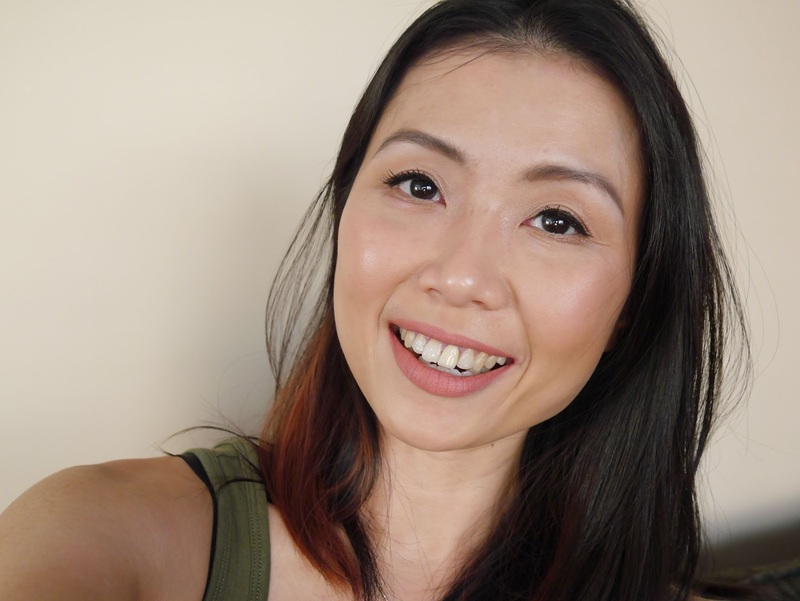 Her goal was to translate the durability and wearability of these high-performance professional products for the consumer and create the perfect ‘red lipstick for every woman’." Embarrassingly I have to admit that I was absolutely clueless about the existence of camellia oil before this. I have religiously used argan oil and rosehip oil but never even heard of camellia oil so I was extremely excited to be given the opportunity to try it. Camellia oil aka tea seed oil is the actual green tea oil. It's from the seeds of Camellia Sinensis which is the plant from which the tea is made. It is also known to be the beauty secret of the geishas. It moisturizes, has anti-aging properties, improves complexion, heals scars and those are just some of its benefits. It is also a natural anti-oxidant containing vitamins, A,B,C,E, K & P with minerals, P, Za, Ca, Fe, Mn, and Mg. The packaging is ace as the oil is housed in a dark glass bottle and it comes with a pipette. I think the reason for the dark bottle is to avoid the oil degenerating quickly and so I store it away from the sun. I seriously love this better than Argan oil for a few reasons. The scent is barely noticeable and it's very quick absorbing. On my dry skin it almost feels like like a dry oil which made it perfect for daytime use under makeup. 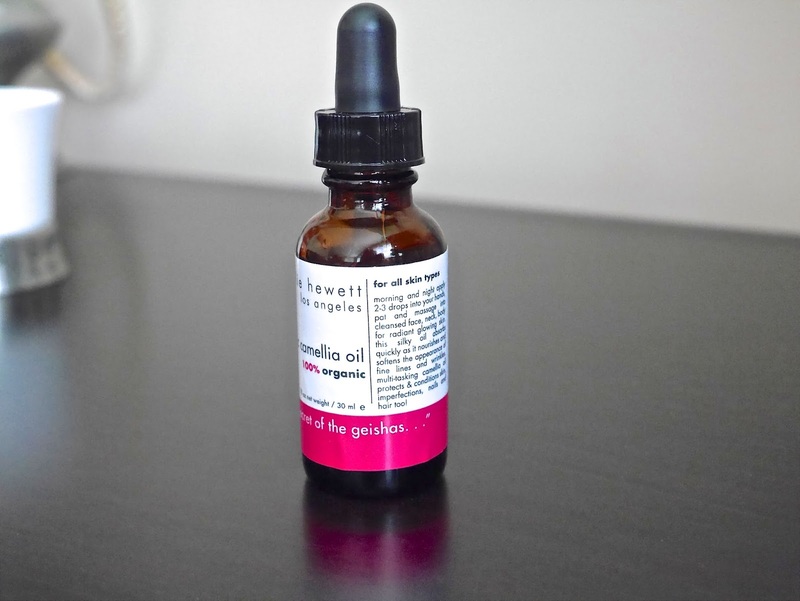 I didn't notice it's ability to fade scars but this oil helps to keep my skin soft, moisturized and glowing. If you have oily skin or discovered that most oils are too heavy for your skin then I highly suggest giving this a try. Highly recommended and I will be repurchasing! Femme Noir* is described as a classic blue-based 30s scarlet red with triple-pigmented matte formula for longevity and has camellia oil so it's gentle on the lips. 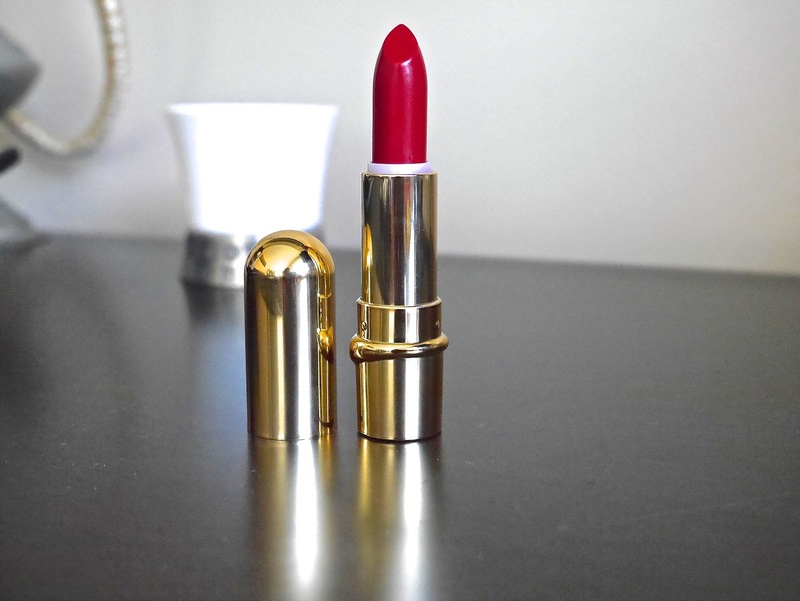 This is one of Julie Hewett Cosmetics best selling lipsticks and for good reasons too. 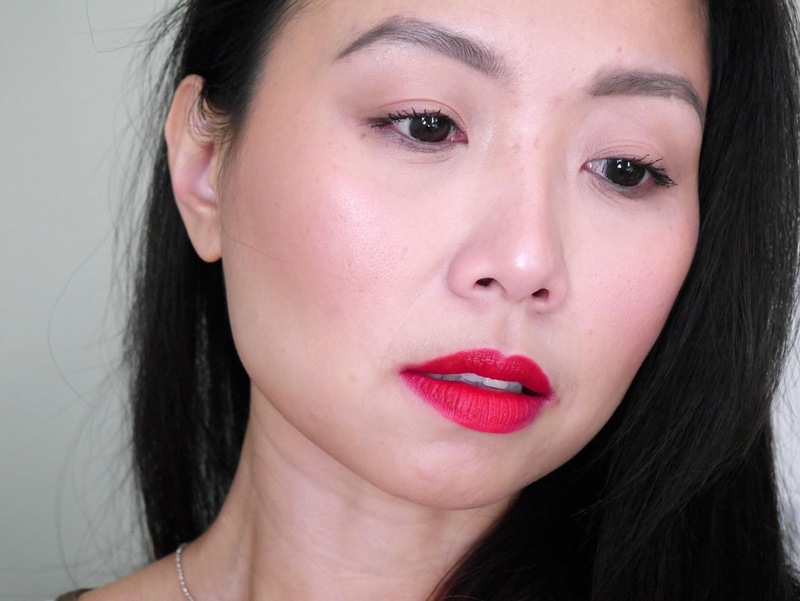 Long time readers are well aware of my ever lasting love affair with red lipsticks and it's my go-to colour whenever I need a little pick me up. 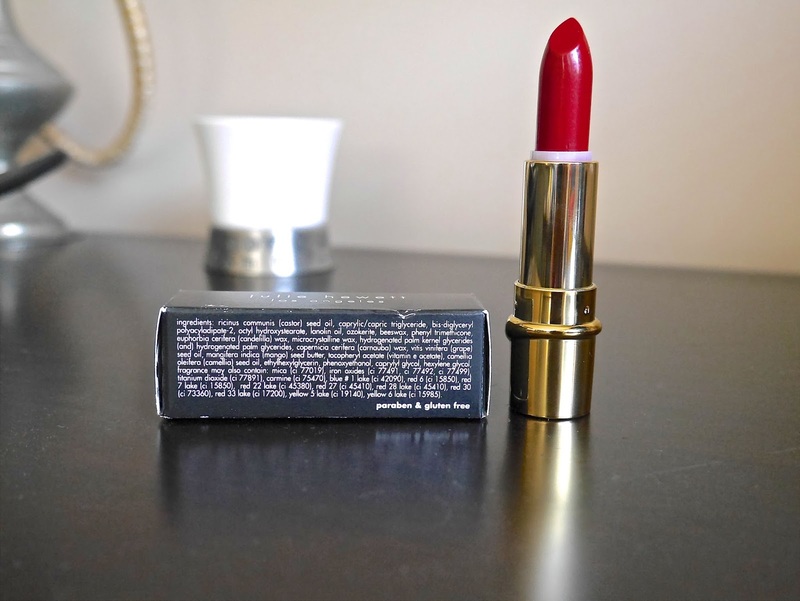 Most if not all reds suit my skin tone and I have a healthy (or not so healthy according to Mr. Platt) collection of red lipsticks to prove that fact and Femme Noir* is quickly becoming my top 3 favourite reds of all time. First of all, how sleek and chic is the gold packaging? There's a very old Hollywood touch to it and I feel like a classic movie siren every time I apply this lipstick. The formula is silky and creamy enough for it to glide effortlessly on the lips but the creaminess doesn't equal to feathering. On the contrary, this is one of the rare few red lipsticks that I could wear on its own without the need of a lip liner. It also hides and masks over dryness of the lips giving the impression of soft, plump and full lips so if you have naturally very dry lips then this would be the perfect formula for you. The pigmentation is intense and I get full opacity with one swipe and it's also very long lasting. It lasted 7-8 hours with eating and drinking and it felt absolutely light and comfortable on the lips throughout wear time. I do need to point out that the finish is not a traditional matte but it's a satin matte which would explain why it's not drying and feels very comfortable on the lips. 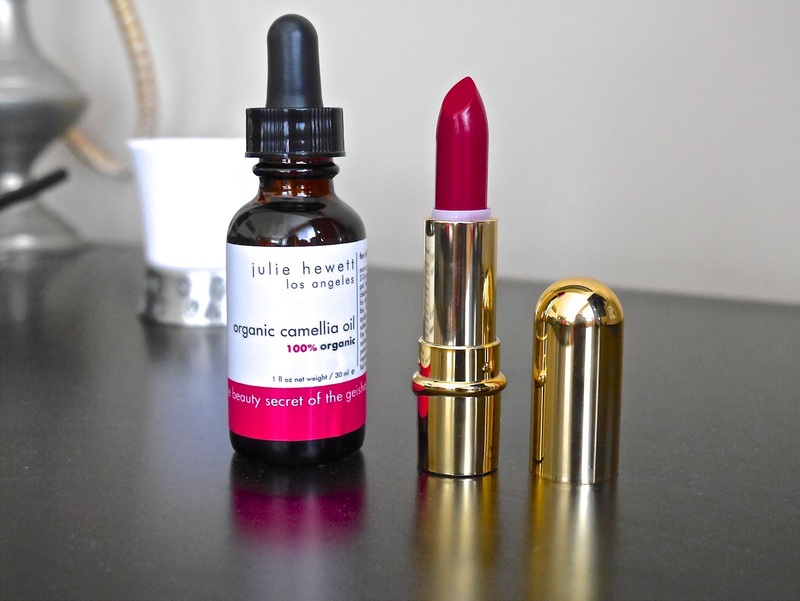 This has been a brilliant introduction to Julie Hewett Cosmetics and I am thrilled to get to know the brand. Julie Hewett has definitely poured her years of experience into her line of products as the quality is impeccable. 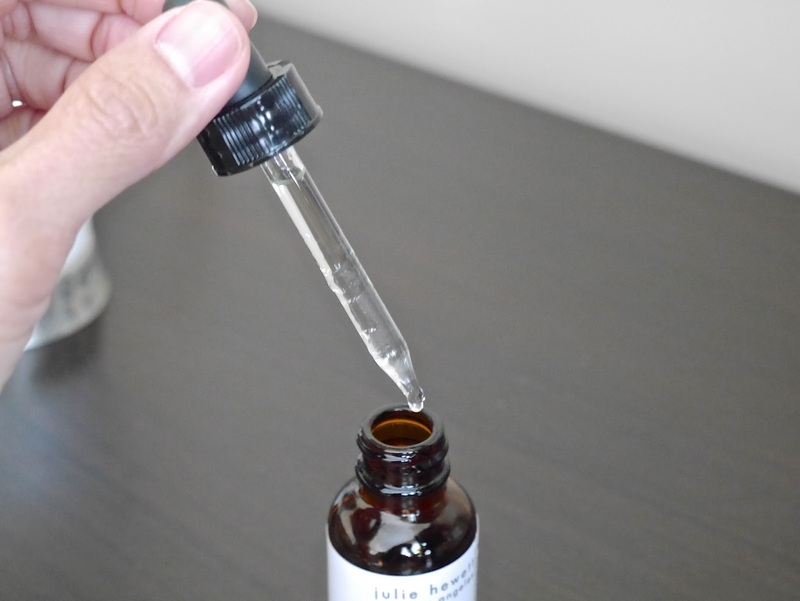 Are you familiar with Julie Hewett Cosmetics?